Under 20 years old? 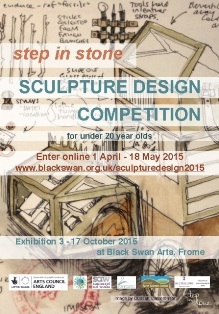 Sculpture Design Competition deadline is coming up on Monday 18th May! ALL entrants will be exhibited at Black Swan Arts Centre Frome alongside leading local and international artists. The winner gets to make their sculpture in a day with our help (Sat 11 July at Somerset Earth Science Centre) – this will then be on show throughout the Trail, and there’s a prize for the best under 13 yr old of a free workshop. 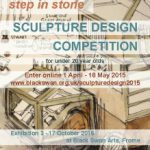 Our competition is currently running online at Black Swan Arts to engage young people with our step in stone art in quarries project, opening this summer. Simple design brief.